The HENAN starch cookers (jet cookers) are used in wet end, surface sizing or coating applications in the paper-making process. 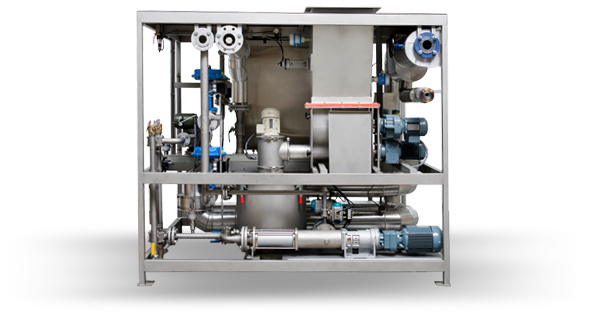 We have the capability to supply complete projects from - starch handling, slurry preparation, jet cooking and dilution – till dosing installations to supply the starch solution to the paper machine. Our jet cooker technology is state of the art. We continuously strive to make good even better. This translates itself in reliable installation needing minimal maintenance and waste, and lower operational costs. The capacity of our wet end cookers for cationic starch ranges from 50kg/h up to 1500kg/h dry starch. Size Press & Coating Cookers can be supplied with capacities ranging from 200 to 4500 kg/hour dry starch.